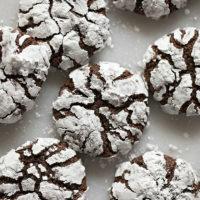 Looking for a recipe for perfect chocolate crinkle cookies? Look no further! 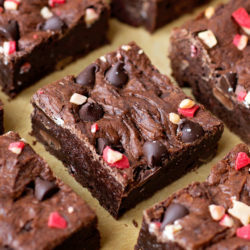 These are easy to make with a fudgy brownie center and a sweet crunchy exterior. We made these cookies after the first snowfall here in Virginia. The kids loved how they looked like little snowballs, and really loved watching them crack in the oven. My husband was pretty smitten too. 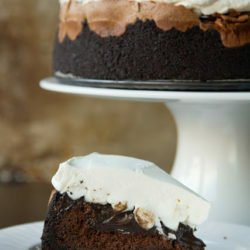 He loves brownies, so the fudgy interiors and crispy, crinkled exteriors made all of his cookie dreams come true. This is a classic Christmas cookie, there’s no doubt about that. You’ve probably seen them before. Maybe you’ve even made them. My version is extra soft on the inside with a thick, white layer of powdered sugar on the inside. 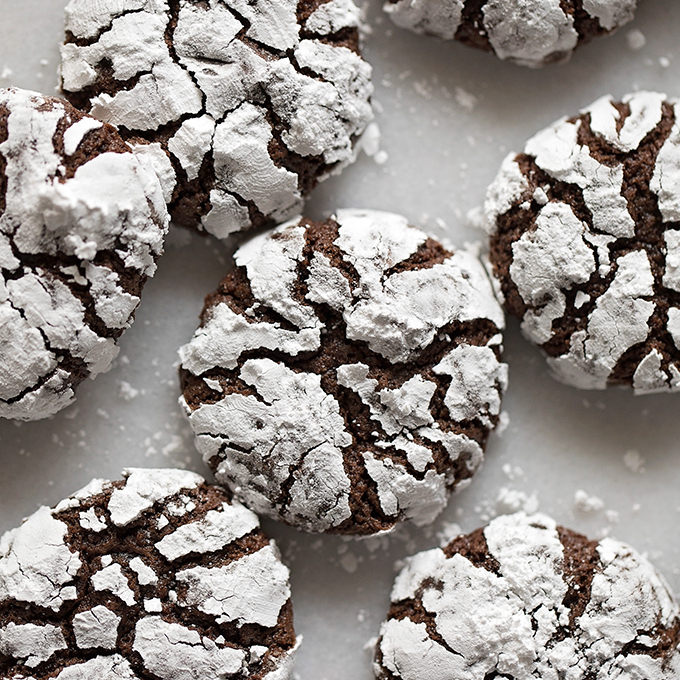 The first thing you need to know is that the “dough” for these cookies is more like a batter. Remember how I said these were more like brownies? Instead of scooping the batter right away, you’ll want to chill in the refrigerator. How long should I chill cookie dough for? Most cookie dough only needs an hour or so in the refrigerator, however, this dough needs at least four. It can be refrigerated overnight if needed. Once the dough is firm, you’ll want to use a small cookie scoop (2 teaspoons) to form even balls. Working quickly, roll the balls in the palm of your hand to form a smooth surface. The dough will get sticky as it gets warm, this is normal. 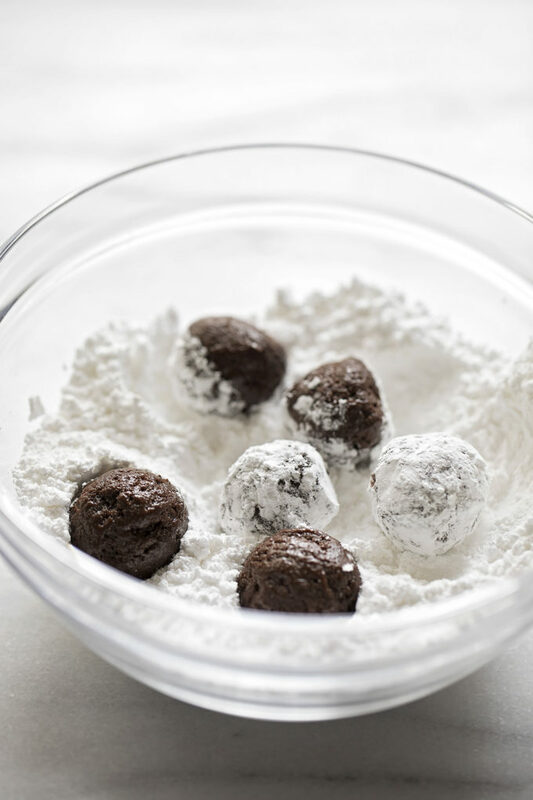 Roll each ball into powdered sugar. They need to be fully coated. 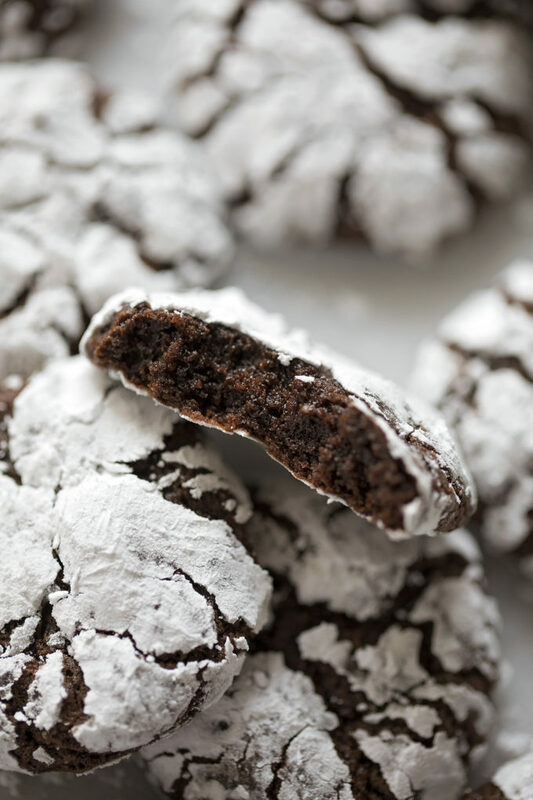 I like to pat it on so it’s extra thick that way when they bake the dough won’t absorb the powdered sugar leaving the cookies dull and dusty looking. Bake for 10-13 minutes depending on how soft or crisp you prefer them. The cookies will set as they cool. 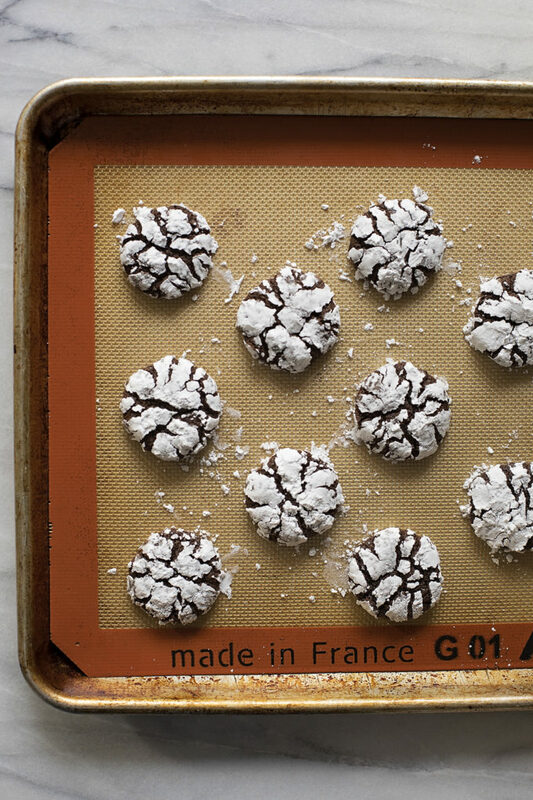 We love this version of crinkle cookies, but we also love changing things up! These cookies are really easy to customize. 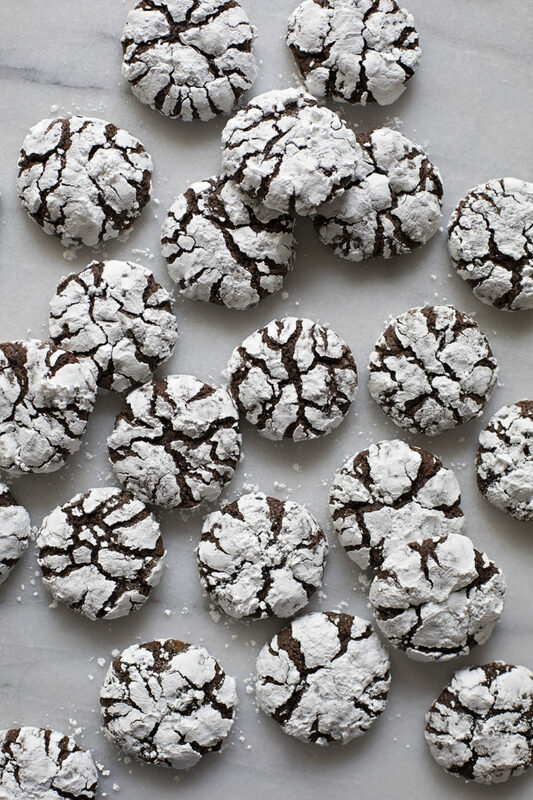 These really are perfect chocolate crinkle cookies. 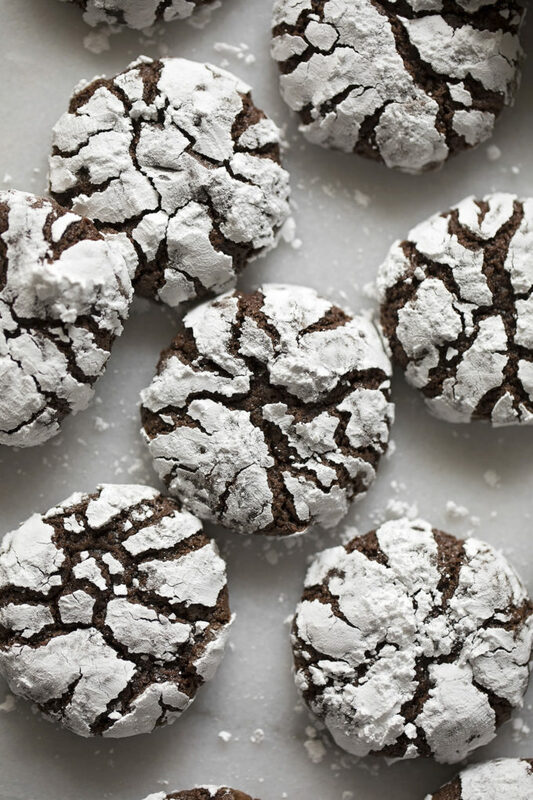 They are easy to whip up, look festive on holiday cookie trays, and taste amazing! Everyone will love them! 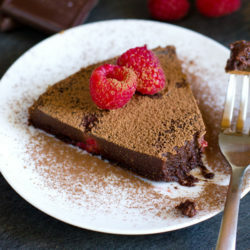 In the bowl of a stand mixer or a large mixing bowl with a hand mixer, add the sugars, oil, vanilla, and espresso powder. Mix on low until combined, about 1 minute. Add eggs one at a time, mixing after each addition. 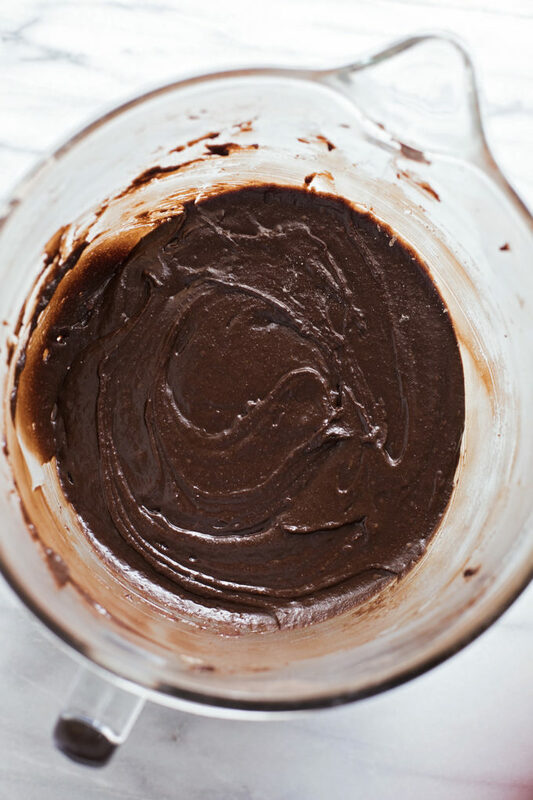 In a medium mixing bowl whisk together the flour, cocoa powder, baking powder, and salt. With mixing speed on low, gradually add the dry ingredients, mix until combined. Cover dough and refrigerate for at least four hours, or overnight. Once the dough is thoroughly chilled and completely solid, preheat the oven to 350 degrees. Line baking sheets with parchment paper or silicone baking mats. Using a small cookie scoop (about 2 teaspoons), form balls. Roll in your hands to create a smooth surface on each ball. Roll each ball in powdered sugar, packing it on to ensure it is fully covered. Place on cookie sheet and bake for 10-13 minutes or until set. The cracks should still look moist, they will firm as the cookies cool. Transfer to a wire rack to cool completely. -Add mix-ins during step 3.